A long-time customer in Spring House has two young children who decided to paint each other’s nails. Unfortunately, the fun ended when the nail polish spilled all over a recently-cleaned carpet (see picture at right). When dealing with harsh chemicals, the worst thing to do is try to clean it yourself. More often than not, the stain will smear. In general, water-based cleaners will not remedy this type of chemical. 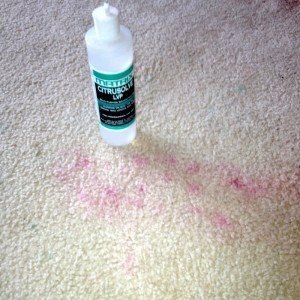 To remove such a stain, call an expert like Gentle Care Carpet Clean immediately. 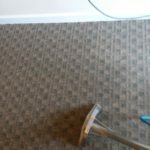 In the carpet cleaning world, this certainly qualifies as a carpet emergency. Gentle Clean has the solvent-based cleaners that can remove the stain if we’re called immediately. 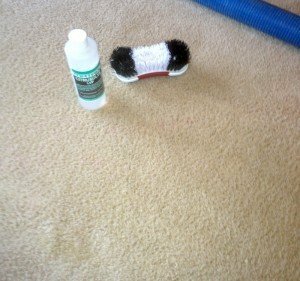 After some emergency treatment and brushing, the carpet looks brand new (picture below). 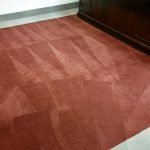 Should you experience a carpet emergency like this anywhere in Blue Bell or the Montgomery County area, contact Gentle Clean and we can help save your carpet. 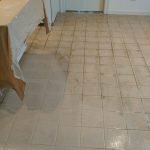 Have a regular cleaning project for us? Get a free quote today.